FLIR Systems, Inc. (FLIR): Are Hedge Funds Right About This Stock? We can judge whether FLIR Systems, Inc. (NASDAQ:FLIR) is a good investment right now by following the lead of some of the best investors in the world and piggybacking their ideas. There’s no better way to get these firms’ immense resources and analytical capabilities working for us than to follow their lead into their best ideas. While not all of these picks will be winners, research shows that these picks historically outperformed the market when we factor in known risk factors. Is FLIR Systems, Inc. (NASDAQ:FLIR) a bargain? The best stock pickers are in a bullish mood. The number of bullish hedge fund bets increased by 1 in recent months. Our calculations also showed that FLIR isn’t among the 30 most popular stocks among hedge funds. Let’s view the fresh hedge fund action encompassing FLIR Systems, Inc. (NASDAQ:FLIR). What does the smart money think about FLIR Systems, Inc. (NASDAQ:FLIR)? At Q3’s end, a total of 27 of the hedge funds tracked by Insider Monkey were long this stock, a change of 4% from the second quarter of 2018. 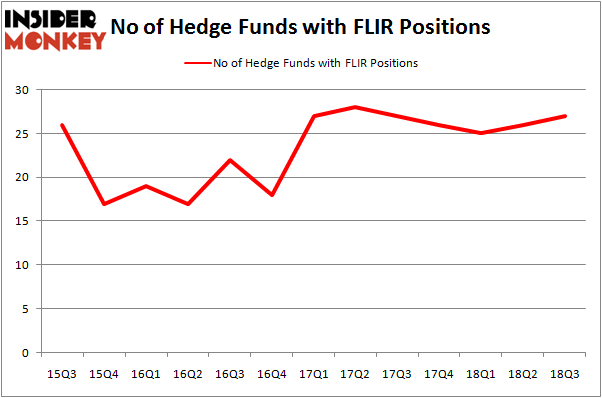 By comparison, 26 hedge funds held shares or bullish call options in FLIR heading into this year. So, let’s review which hedge funds were among the top holders of the stock and which hedge funds were making big moves. The largest stake in FLIR Systems, Inc. (NASDAQ:FLIR) was held by AQR Capital Management, which reported holding $162.1 million worth of stock at the end of September. It was followed by Royce & Associates with a $102.4 million position. Other investors bullish on the company included D E Shaw, Columbus Circle Investors, and Two Sigma Advisors. As aggregate interest increased, key money managers were breaking ground themselves. Point72 Asset Management, managed by Steve Cohen, created the biggest position in FLIR Systems, Inc. (NASDAQ:FLIR). Point72 Asset Management had $1.5 million invested in the company at the end of the quarter. Paul Marshall and Ian Wace’s Marshall Wace LLP also made a $1.3 million investment in the stock during the quarter. The other funds with new positions in the stock are Jeffrey Talpins’s Element Capital Management, Matthew Hulsizer’s PEAK6 Capital Management, and George Zweig, Shane Haas and Ravi Chander’s Signition LP. Let’s now review hedge fund activity in other stocks – not necessarily in the same industry as FLIR Systems, Inc. (NASDAQ:FLIR) but similarly valued. These stocks are IPG Photonics Corporation (NASDAQ:IPGP), Credit Acceptance Corp. (NASDAQ:CACC), WPX Energy Inc (NYSE:WPX), and SL Green Realty Corp (NYSE:SLG). All of these stocks’ market caps resemble FLIR’s market cap. As you can see these stocks had an average of 26.75 hedge funds with bullish positions and the average amount invested in these stocks was $705 million. That figure was $559 million in FLIR’s case. WPX Energy Inc (NYSE:WPX) is the most popular stock in this table. On the other hand IPG Photonics Corporation (NASDAQ:IPGP) is the least popular one with only 16 bullish hedge fund positions. FLIR Systems, Inc. (NASDAQ:FLIR) is not the most popular stock in this group but hedge fund interest is still above average. This is a slightly positive signal but we’d rather spend our time researching stocks that hedge funds are piling on. In this regard WPX might be a better candidate to consider a long position. Billionaire Leon Cooperman’s New Stock Picks Simcoe Capital Management’s Returns, AUM and Holdings Is Mohawk Industries, Inc. (MHK) Going to Burn These Hedge Funds? 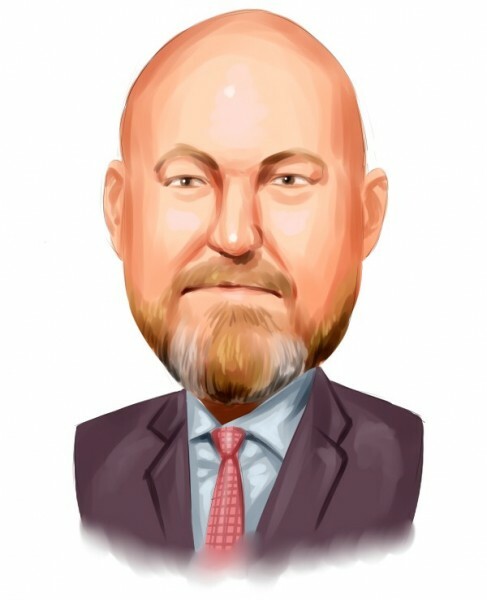 Here is What Hedge Funds Think About Movado Group, Inc (MOV) HMI Capital’s Returns, AUM and Holdings Is MGM Resorts International (MGM) A Good Stock To Buy?